Sorry, this job expired on Aug 15, 2018. Below are other jobs that may be of interest to you. Tria Taproom of Philadelphia's acclaimed beer, wine & cheese restaurant is seeking passionate servers and bartenders who have an interest in craft beer and wine, and want to become a part of the Tria team. 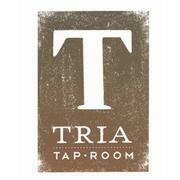 As with our other locations, Tria Taproom offers: 1. A product you can be proud of; 2. A friendly, supportive and professional work environment; 3. Continuous and intense product education (it's like going to beer school); 4. Two available quality, not bare bones, health insurance plans; 5. Paid vacations; 6. A retirement plan with matching contributions; 7. Generous Tria discounts; 8. The ability to wear your favorite blue jeans to work. Successful candidates will have: 1. A thirst for knowledge; 2. A passion to share this knowledge with others--with passion, not pretension; 3. A decent amount of product knowledge to start with, but an eagerness to learn more; 4. Relevant restaurant experience involving the service of fine food and drink; 5. 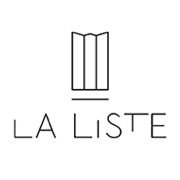 Availability for at least four shifts per week along with attending weekly afternoon staff wine, cheese and beer education classes; 6. Commitment to work at no other restaurants or bars while employed at Tria; 6. Intent to stay employed at Tria for at least one year.